Faith, family then business are Jeff’s priorities in order of importance. His lovely wife Cam and four children complete him and are the main sources of his joy and happiness. Growing up in a family where one parent was programmed to have a Job mentality, while the other was a diehard entrepreneur, Jeff was confused on which path to take in life. Luckily for him, he got the best of both worlds: the consistent work ethic of his mother and his strong entrepreneurial spirit of his father. Jeff hails from Chicago, Illinois, where he grew up in a blue-collar family in the south suburbs of the city. Inspired by his grandfather who was a World War II veteran and a Lieutenant in the Chicago Fire Department, Jeff dreamed of being someone important when he grew up. He put himself on a path for achieving that dream early on. Jeff attended Hillcrest High School in Hazelcrest, IL where he was Senior Class President and Captain of the varsity football team. He furthered his leadership in college at Illinois State University, where he was an academic senator, a boxer and President of his fraternity house, Delta Sigma Phi. After getting a bachelor’s degree in finance, he went off to work in corporate America selling business-to-business. The thick skin he developed served him well the rest of his career and is still benefiting him today. Jeff’s career in the financial industry began in 1995 at the age of 24. In his first full-time year as an advisor, he earned over $100,000; by the time he turned 30, he was a millionaire. As an advisor, he quickly learned that he didn’t have enough hours in the day to make the impact he wanted to in the industry. To remedy that “problem,” he mastered recruiting and developing other agents in his organization. Today, Jeff leads, trains, and motivates over 2,500 licensed agents in over 100 offices around the United States and Canada. His leadership skills and training systems are being used today to massively increase recruiting and productivity in many companies from many industries! Michael “Hutch” realized early on in life what separated good leaders from the great leaders. He has dedicated his life to discovering and sharing the secrets of leaders and champions. Hutch has lived in the trenches and knows what it takes to succeed. He possesses a rare combination of inspirational and leadership talent. As a kid, Hutch was an All-Star Little-League baseball pitcher. He was a #1 high school tennis player growing up in North Carolina. He received his Associate of Arts degree from the Munich, Germany campus of the University of Maryland. During his second year in college, he broke his back and his doctors told him he would be paralyzed, which was not the future he had in mind. During rehabilitation is when he first realized that it’s easier to act yourself into good thinking than think yourself into good action. To recover, he knew that he had to get started and that he was not going to stop until he got it done. He promised himself, and his God, that he would recover and that he would be an example of someone who took action each and every day. It was a very dramatic recovery, but he made it and eventually participated in a variety of sports again. Hutch taught tennis professionally for two years after graduation. He ran the Marine Corps Marathon in 1994, the same year as Oprah Winfrey and then the Boston Marathon in 2002 to help raise money for Special Olympics. Hutch has four children and one son-in-law. He has coached all of his children’s soccer, baseball, basketball, tennis and football teams. His daughter works at Stanford University and attended USC-Honors and graduated from Pepperdine University. His son-in-law is a JD/MBA from Stanford University and works at Udacity. His oldest son graduated from the College of Charleston and works in Aspen, CO. His second son is a senior in the Honors College at Clemson University. His third son is a sophomore at Hammond School. 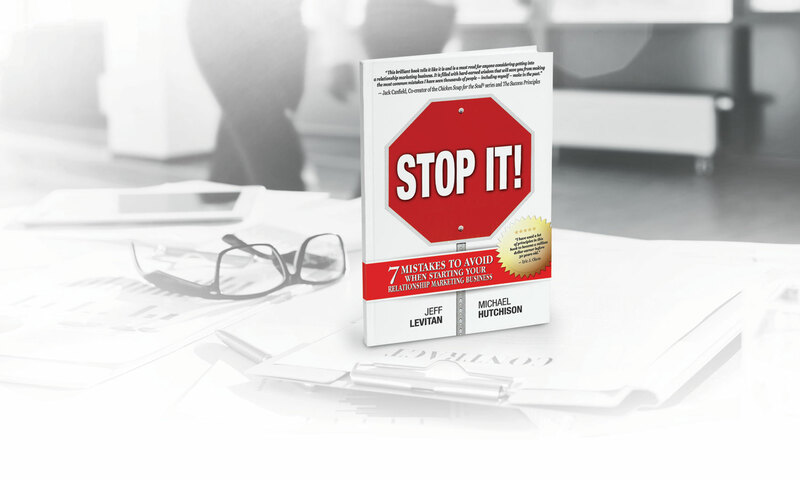 Hutch is the author of Speaking Mastery: 7 Keys to Delivering High Impact Presentations (Morgan James 2008) and STOP IT! 7 Mistakes to Avoid When Starting Your Relationship Marketing Business. Over the past two decades, Hutch has helped build several respected enterprises while continuing to model and study the lives of achievers who thrive on and off the job. He began his business career as a corporate recruiter for Ross Perot’s Electronic Data Systems (EDS). He was the top recruiter in the company. He was “hand-picked” to lead the Central European Recruiting Division and became the youngest manager in all of EDS/GM International Operations. Hutch began his speaking and training career when he joined Robbins Research International (RRI), Tony Robbins‘ company, as a Regional Sales Manager and Trainer. It’s one of Hutch’s claims to fame; he was a founding leader of Tony Robbins’ startup business seminars. At the time, Tony’s company was reported to be in about $750,000.00 of debt. Talk about an uphill battle right out of the gates! Hutch approached Tony with the idea for a seminar called Life Mastery University. Using the principles that he now teaches, his team was able to help turn the company around. Because of his success, he was promoted to the position of Vice President of Sales. Hutch led the company to record growth for seven consecutive years. While at RRI, he also personally conducted hundreds of trainings in North America, Europe and Australia. Hutch admits being biased towards the relationship marketing industry because, when he ran sales and marketing for Tony’s seminars in the mid 80s through the mid 90s, several relationship marketing companies kept the seminars profitable. Today, thanks to Hutch’s help, Tony currently runs one of the largest peak performance training enterprises in the world… and Life Mastery University continues to be the flagship seminar. In 1998, Hutch joined Interactive Telesis (OTC: TSIS) as its Vice President of Sales. In less than 2 years, sales multiplied six fold and he was recognized for helping the stock price increase from $0.50 to over $5 per share. In 2000, Hutch became the Director of Sales for Speech Works International (NASDAQ: SPWX, now NUAN) where he was named to the President’s Club. In 2002 Hutch joined software startup Vocalocity as Vice President of Sales and grew the company’s revenues from scratch. Vocalocity raised $14.5 million in venture capital and was sold in 2006. Over the years, Hutch’s teams have generated hundreds of millions of dollars in sales and profits. Between leading Tony Robbins’ company and his own training companies, Hutch has been instrumental in training over 1.5 million people from 54 different countries, in every type of business on what it really takes to do well by doing great and to create serious financial success. Hutch is the most recent host of Dun & Bradstreet Credibility Corp’s CredibilityLIVE! Web TV show, which is focused on inspiring people to make things happen in their business. Hutch interviews credible market leaders who can provide actionable strategies for you to become more successful than ever before. Through CredibilityLIVE and his previous business encounters, Hutch has met with and interviewed or advised many of the top leaders and speakers including Harv Eker, Brian Tracy, Jay Abraham, Leigh Steinberg, Steve Cox, Fran Meier, Marcus Buckingham, Phil Town, Stephen MR Covey, Les Brown, Mari Smith, Gary Goldstein, Chris Brogan and many others.